Subscription terms and conditions are reviewed annually on the 1st April each year. SilverMembership is for a 12 month period when payments are made. 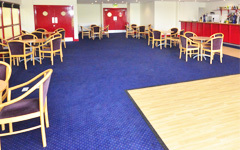 All members will be issued with a membership card which must be shown at reception prior to entry of the Centre. Membership may be withdrawn at any time without notice at the sole discretion of King’s Rochester Sports Centre (The Company) and in the event of such withdrawal of membership, subscription and fee’s are not refundable or transferable. The Company reserves the right to alter opening hours and rules may also be amended from time to time. Should your chosen method of payment be by direct debit, termination of membership shall be by one month’s written notice. The Company reserves the right to recover unpaid subscription fees within the contracted period. When paying for a Silver Membership by cash, cheque or card, one payment for the whole year is required. Please note that if paying for Gold and Platinum memberships by direct debit, if any payment is missed or cancelled your membership is withdrawn immediately and from the date of the missed payment you are no longer entitled to use any of the facilities, regardless of the number of payments made previously. Once membership has been suspended or cancelled the Company reserves the right to recover the remaining balance of the contract value plus any costs incurred. To reinstate membership after a failed or missed payment, all monies outstanding on the balance must be paid, together with an administration charge. Membership categories are detailed in your pack, and are subject to availability. The Company and its employees and agents shall be under no obligation and cannot accept responsibility in respect of the death and injury of members, their children, guests or loss or damage to their property in the centre, or centre grounds (whether deposited with a member of staff or not) however such death, loss, injury or damages may be caused. The Company shall be entitled at any time without prior notice to vary the times of opening of any or all the facilities and shall be entitled to close any/all facilities for any period in connection with repair, alteration, maintenance or when such facilities are required for the Company’s own use in connection with the business of the school, without refund of subscription. Members, their children and guests shall observe any regulations for the use of the facilities which may be posted in the centre and which may be added to and varied from time to time. Entry to the Centre is only permitted at the centre reception where Members must produce their Membership Card. The Company reserves the right to refuse admission and/or cancel membership forthwith if any member shall in the opinion of the Company cause nuisance or annoyance to other Club members or users of the facilities; this includes members who do not comply with the parking regulations. A member whose admission is cancelled shall not be entitled to any refund of joining fee or annual subscription. Children under the age of 16 years of age are not permitted to use the gymnasium unless they are attending supervised sessions. Members and their guests are particularly advised not to undertake strenuous physical activity for which they might be medically unfit and the Company will not be in any way responsible for any harm which may come to a Member or guest as a result of his undertaking within the Centre any activity which is beyond his physical capability. Members and guests are advised to have a medical check-up before embarking on strenuous exercise. 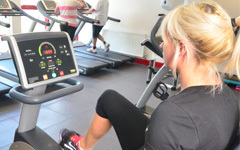 All new members must complete an assessment and gym induction with a member of staff before using any of the equipment. – Members can book 7 days in advance and Non-Members 5 days. Non-members must pay in advance for their booking. minutes setting up and up to 5 minutes clearing away of facilities relating to the booking. All bookings are made in the name of a specified individual as set out on the booking confirmation. Proof of identity may be required. Bookings are non-transferable and non-refundable. All hires and bookings are made subject to the Terms and Conditions of Use that may apply from time to time. These are available from reception and are issued with all memberships. If members rights are abused the membership may be terminated without notice. Confirmed bookings are subject to the cancellation policy of the centre. Members who fail to attend for a confirmed booking will be re-charged at the standard facility rate. All the exits are clearly marked and are in the interests of public safety. Members and guests must only use the doors when the fire bells are activated. In the event of a fire, members and guests should make their way through the nearest available exit; the assembly point is at the Centre’s entrance in the Coach Bay to the left. Members must ensure that their guests abide by the rules and accept responsibility for their guest’s behaviour. No person whose membership of the Centre has been terminated or whose application for membership has at any time been refused shall be admitted as a guest. The Centre reserves the right to refuse any person to be admitted to the Centre. All members and guests must accept the decision of staff in respect of matters relating to safety and behaviour. 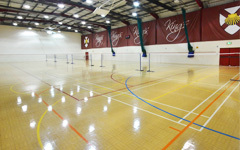 King’s Rochester Sports Centre enforces a No Smoking Policy within the building, however outside designated areas are available.